Based on reports from the Assembly of Muslim Jurists of America (AMJA), the new moon of Ramadan has been sighted in California and Mali. As a reminder, the Islamic Centers listed below follow global moon sighting anywhere in the world that shares part of the night with the USA. In-Shaa-Allah, the holy month of Ramadan will start on Wednesday, May 16, 2018. Please visit your Islamic Center’s website below for additional details on prayer schedule, Ramadan timetable, Taraweeh and Iftar programs. “O you who believe, fasting is prescribed to you as it was prescribed to those before you, that you may (learn) self-restraint.” Qur’an 2: 183. Let us all welcome the arrival of this blessed month and let us work on getting maximum rewards from the days of fasting and nights of prayers. We look forward to seeing all of you at our centers for Taraweeh and Iftars. 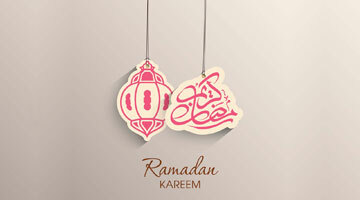 We ask Allah SWT that you and your families have a blessed month of Ramadan. “O Allah! Safeguard me for Ramadan, safeguard Ramadan for me, and accept it from me. Make us among those who pray and fast during Ramadan as believers and expect the reward only from you.” Ameen. Islamic Center of Brushy Creek.